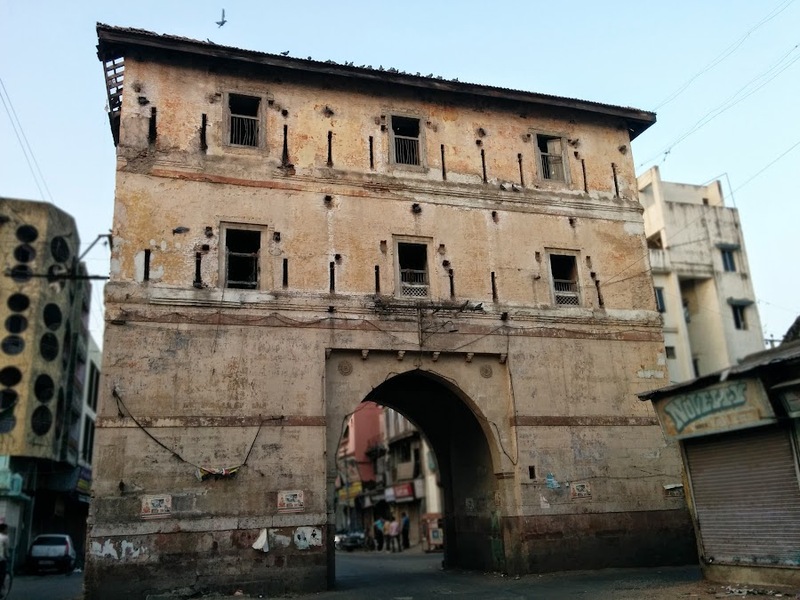 Mandvi Gate, often termed as the North gate of the Royal Enclosure, is one of the major landmarks in Vadodara dating back to the Mughal period. 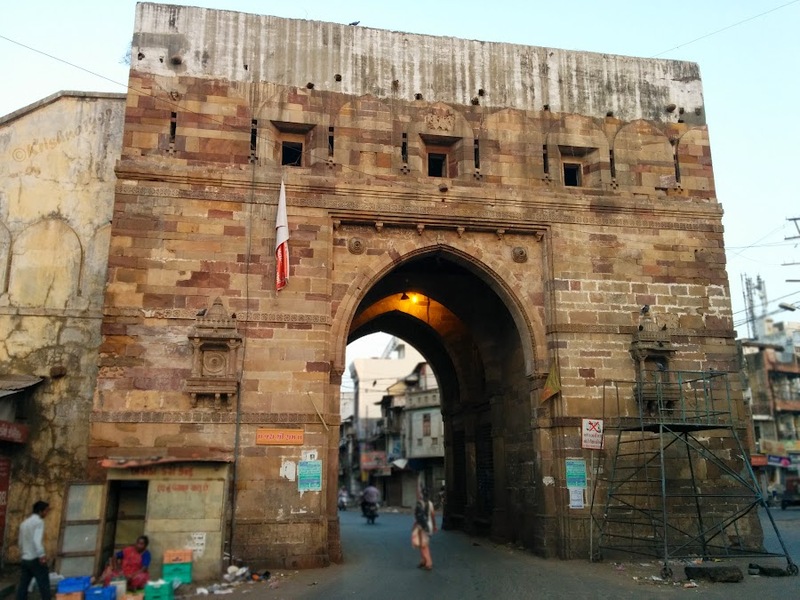 It is located at the centre of the walled city where the roads leading to the 4 gates crosses. The word ‘Mandvi’ derives from the Sanskrit word mandapa meaning a pillared hall. Built by Sultan Muzaffar (1511-26 AD), this square-shaped pavilion features three bold arched openings on each of its four sides. Marked by a market place in today’s time, this gate separates the two intermingled streets into four that meet in the center. It is believed that it was used for collecting toll from merchants and traders. It was also used to make announcements for the city. 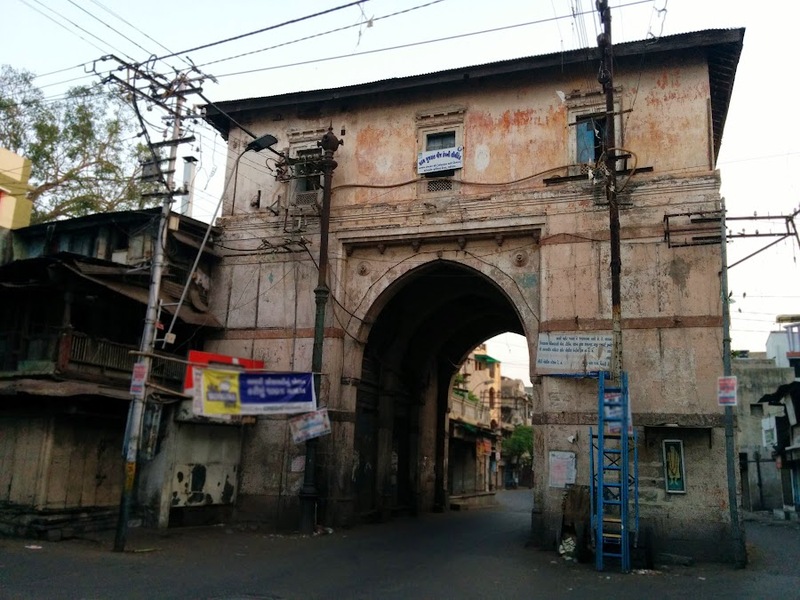 Under the orders of Damaji Rao II, this gate was renovated by Governor Malharoa Maloji in 1736 AD. Later during 1856 AD, Ganpatrao Gaekwad added more storeys. Now it is a four-storied concrete structure with a clock fitted on the top. Most of the structure is intact including some of the jaalis. On special occasions like festivals and cultural events, the gate is illuminated with colorful lights. Near Mandvi Gate is a Central Library that has been inherited by the Gaekwads, and carries over 300,000 books in the present time.